What does it mean to live “By Heart”? This has been the question that has been rolling around my head, framing my experiences for the last few months as we prepare for this 500th anniversary of the reformation. If we are always being re-formed, as is the characteristic of the Lutheran church, how are we doing that? Re-formation requires the heart to be involved, along with the mind and the soul. Jesus tells us, “Where your treasure is, there your heart will be also.” Mark Allen Powell would say if we want to change our heart, change where your treasure is—teach your heart something different. So what does it mean to live “By Heart”? Does it mean that I am a “bleeding heart” or that I have a “hard heart”? Does it mean I give all my money and worldly goods away? Does it mean I am fickle or stubborn? As I ponder these questions that stem from my original question of what this means, I realize that none of these are going to get me to the, pardon the pun, heart of the matter. Instead, I turn to Jesus once again as I consider what it means to live “By Heart”: love. More specifically, love God and love neighbor and love neighbor as you do yourself (which was recently pointed out to me that we leave that part out too often). I know this would shock you that I end up here, not at all. Loving God and loving my neighbor as I do myself have become for me the most challenging and life giving way to consider the commandments. To live “By Heart” is to live a life of love—to follow Jesus in such a way that my life is characterized by the love I show to all people. I have spent the last two weeks surrounded by family. First in Atlanta, GA with friends and colleagues. These people are my chosen family, those folks who I have known and loved over the last 15 years, who have been with me through some of the toughest and most wonderful times. I don’t do enough to nurture all these relationships, but I was reminded once again that this time away with them to talk about life and ministry and love are important and life giving. Living “By Heart” means being attentive to the relationships in my life that give me life and remind me I am loved, especially those relationships with people who are willing to help me stretch and grow. Secondly, I traveled to Polson, MT where I joined my mother’s side of the family for a reunion. These people are my given family, those folks who know me better than anyone because they knew me back when. The ones who love me no matter what and who accept my quirkiness because of that love and because we are family. Even as new people have been brought in, they are accepted openly and with love. It was so good to become reacquainted with my cousins and to love on their kids. It was a challenge to balance my needs with the needs of the group, to find compromise and flexibility as we tried to pack as much as we could into 7 days. It was a week full of so many wonderful things. Living “By Heart” means being attentive to the relationships in my life that give me life and remind me I am loved, especially those relationship with people who love me no matter what and walk this journey of life with me from beginning to end. 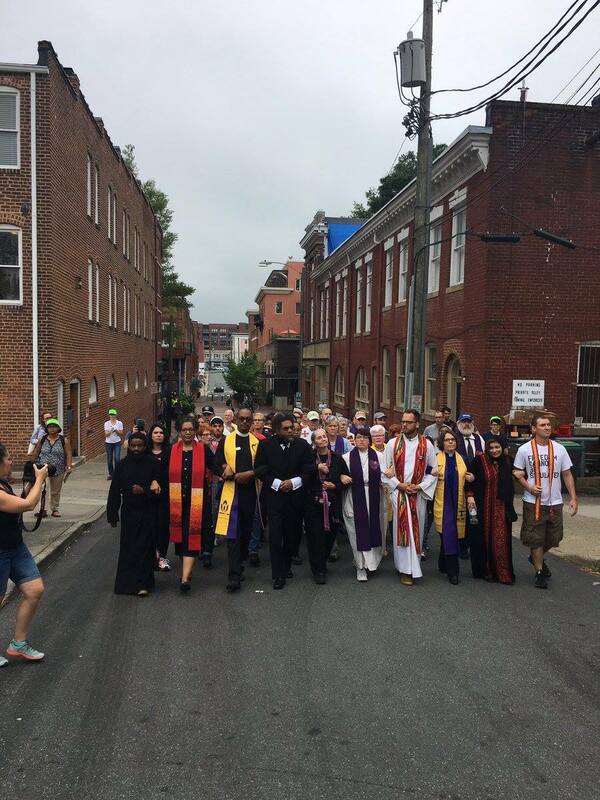 In the midst of this family time away came the news of rally and counter-rally in Charlottesville, VA on Saturday, August 12. Friends, it is heartbreaking to be reminded that great hate and evil still exist in this world. That people I love and admire are considered less than because of the color of their skin. In the wake of such things all I wanted to do was be with my community of faith. I wanted to sit with those who I sit with each Sunday and wail and mourn and ask for forgiveness and plan and pray. Living “By Heart” means living within a community of faith that challenges and loves me as we work to be faithful followers of Christ, who will encourage me as I speak out against hate, who will remind me to be brave in my preaching and teaching and will love me when I fail. Oh, how I longed to be with you in those early moments of Sunday morning as I read the news. So much so that I had hoped to go to church in Polson, but missed worship because while I was up “early” it was vacation early, not normal life early. Finally, to live “By Heart” means to work for justice and peace for the sake of the whole human race. Never has there been a time like this in my lifetime. Never have we, the followers of Jesus, the church been so needed. Our love, our compassion, our mandate to serve is the voice and the life that this country needs in this moment. It will mean putting our livelihoods in jeopardy as we speak truth to power. It will mean putting our lives on the line as we stand with people of color as they demand the justice they long deserve. It will mean possibly losing everything as we come face to face with our own privilege. None of this is going to be easy, but whoever said it was supposed to be easy? Living “By Heart” is living the way Jesus asked us to, it means taking to heart and into our bodies and souls the truths that Martin Luther revealed to us: that we should love God and love our neighbor so that everyone has their best life now. This theme for the year, “By Heart” sounds so lovely, but in fact will challenge us to be intentionally faithful in all things. What areas do you need to be attentive to this year? Where is your personal challenge to live “By Heart”? Regardless of where that may be, together, as a family of faith, surrounded by those who will love us and encourage us and challenge us and forgive us it is possible to overcome these challenges and live more faithfully.